The dog was found, with three gaping holes in its neck from prongs on its collar, wandering on Route 6. Glad the dogs being taken care of. 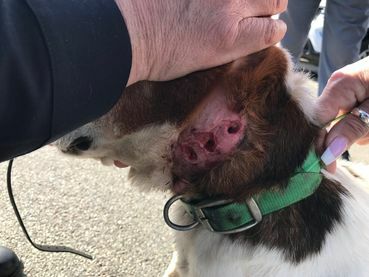 Prosecute the owner to the fullest..
"...officers arrested Nuno M. Afonso-Gouveia of Yonkers and charged him with animal neglect, a misdemeanor in the state Agriculture and Markets law." i have signed so many petitions to have those damn collars banned!!! Help ban the use of "PRONG COLLARS" on dogs worldwide!